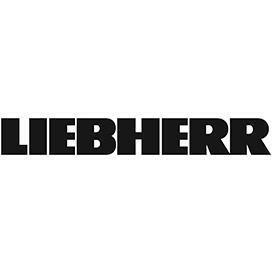 Digitization has recently led the gear cutting specialists at Liebherr to revamp parts of their portfolio while also incorporating further improvements, such as enhanced simultaneous chamfering on the LC 280 DC gear hobbing machine. Liebherr-Verzahntechnik GmbH develops and manufactures high-quality gear cutting machines/tools and automation systems. The user-friendly operation of these innovative products is just as impressive as their high precision and availability. Customers worldwide also appreciate the outstanding energy and cost efficiency of Liebherr's machines and systems. "Digitize the future with us," urged the company recently as it launched a number of optimized gear cutting and automation solutions. One particular improvement according to Liebherr is the further enhancement of simultaneous chamfering on the LC 280 DC gear hobbing machine. The LC 280 DC revamp includes both ergonomic and technical features, especially on the ChamferCut unit. Large doors without a central column are designed to make it easier for operators to access the ChamferCut station, while the optimized machine bed is now set to ensure even better chip removal. Head of Technology Application Oliver Winkel sums up the benefits as follows: "New software features increase ease of use and are simple for the operator to learn. This machine enables users to efficiently produce all complex components, from small workpiece diameters - commonplace for automotive input shafts - to large final drive gears. This machine is right at home in the automotive industry. Universal and fast."